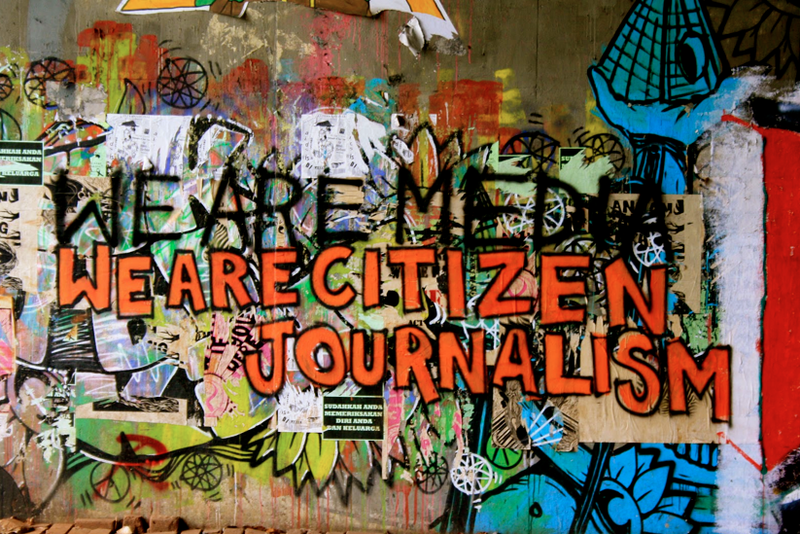 Chapters Four of Carroll is entitled “Citizen Journalists?” and discusses the different ways that blogging and journalism are similar, yet how they also serve different roles. An interesting point is that bloggers tend to gain credibility by providing an extremely biased story because those stories tend to be the most honest, which allows bloggers to relate to target audiences through empathy. Ever wondered about those people who just happen to be at the scene of a crazy incident? Well for instance, if you were a chance witness to a meteor striking, I’m sure that your blog would gain a ton of attention because you provide something that everyone craves. But how long does your blog stay “popular”? When reading the article, I found myself wondering about the lifespan of a blog; they can only be so long if the blog gained fame from a certain incident. The essence of journalism is a discipline of verification . . . In the end, the discipline of verification is what separates journalism from entertainment, propaganda, fiction, or art. What is the discipline of verification? A method of testing and providing information. Mine, for example, is the credible blogging articles that I read and analyze biweekly. The question is, how can I make that discipline stretch farther than just this class? And do I even need to? I’m not a journalist, I’m a blogger. There’s a difference, remember? My second article argued that what made journalists different than other genres is the fact that the discipline of verification equates to some sort of scientific method of proving a point. With the plethora of information available to the public, we as citizens (well, at least me personally) believe that journalistic articles should present both sides of an argument simply to increase the article’s credibility (so that it seems balanced instead of one sided). Journalists have to be the judge as to whether or not they should have to provide both sides of the story or focus on the more relevant side. I mean, if both sides of a story are not equally viewed as the truth, should both sides be presented equally? Bloggers don’t have such problems; everyone knows blogs are biased, yet that bias makes them interesting and creates a personal relationship from reader to blogger. This youtube clip asks journalists what they think the difference between blogging and journalism is, and it seems that most agree with the degree of professionalism and credibility associated with them. Blogs gain credibility through evident bias and an established relationship with the reader. So get ready for obvious opinions and personal stories. They’re coming! 1. Do you agree with the roles the text suggested for journalists and bloggers? Or is the line too blurred at this point due to the media? 2. Which are more credible: bloggers or journalists? ← Are hyperlinks really that serious?